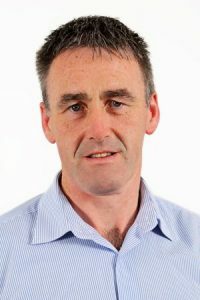 Wicklow Uplands Council recently launched the SUAS Pilot Project which will address some of the complex challenges associated with the land management of commonages and hill farms in the Wicklow/Dublin uplands. Following several years of extensive study of upland vegetation management, the decline in farming activities and the impact it was having on these environmentally significant habitats, the ‘Sustainable Uplands Agriculture-environment Scheme (SUAS)’ pilot project officially launched in November 2018, aims to use innovative means to address these issues. 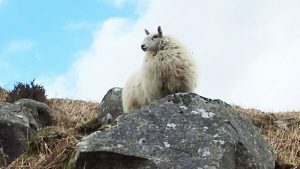 Developed by Wicklow Uplands Council, the project is designed to assist both commonage groups and individual farmers across the Wicklow and Dublin uplands and will ensure the sustainable management of the unique, natural habitats the area is renowned for. The project, the first of its type in Ireland, was successful in securing a funding allocation of €1.95 million under the first round of European Innovation Partnership for Agriculture, Productivity and Sustainability (EIP-AGRI) initiative. One of only 21 projects selected to proceed to the implementation stage following two open calls for proposals. The project is allocated funding over under Ireland’s Rural Development Programme 2014 – 2020. The key objective of the five-year pilot, is to develop practical and innovative solutions that will address the complex agricultural, environmental and socio-economic challenges associated with the land management of commonages and hill farms in the Wicklow/Dublin uplands. coming years. This will be achieved through increasing the ecological and productive value of these habitats. Improvement of the biodiversity, the protection of water quality and maintaining recreational access are also key components and will be developed by integrating environmental and farming activities into a single management plan. The enclosed land in the Wicklow Dublin uplands is of high value for biodiversity and is of European conservation importance for habitats and birds. This is recognised by its designation of a substantial area of the uplands region as a Special Area of Conservation (SAC) and Special Protection Area (SPA). The development of SUAS follows from recommendations emanating from the 2013 LEADER funded ‘Study to Identify the Best Management of Upland Habitats in County Wicklow’ prepared in 2013 by Mary Tubridy and Associates on behalf of Wicklow Uplands Council. 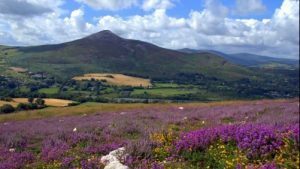 The study identified the poor-to-bad conservation status of the habitat found in the Wicklow/ Dublin uplands. It also found a decline in the use of the uplands for livestock grazing and the need for specific support for upland farmers. Following the announcement of the project in early 2018, a selection process resulted in three commonage groups and one individual farmer been chosen to participate in the initial rollout of the project. Applications from interested parties seeking to participate in the second round of the project took place in the Spring of 2019 with announcements of the selection process due in the coming months. The project has created a framework that consists of a facilitated process to assist the participating commonage groups to form their own constitution and to establish as a formal structure. It is the commonage group itself that collectively develops and agrees to a management plan with the support of the SUAS operational group. Current participants will work closely with Faith Wilson, an ecologist who will monitor and advise on the improvement of the ecology and water found on the selected sites over the duration of the project. SUAS will also be organising training courses and necessary support required by participating farmers. The SUAS Project is a European Innovation Partnership (EIP) funded by the Department of Agriculture, Food, and the Marine (DAFM) under the Rural Development Programme 2014-2020. EIP-AGRI projects are centered around a locally led operational group, which involves the cooperation of farmers, scientists, advisors, NGOs and others, coming together to address a specific issue or to take advantage of a new opportunity. Wicklow Uplands Council has assembled an Operational Group with a range of expertise and experience to support the SUAS project. Members of the Operational Group include upland farmers along with experts in hill production, agri-environment, ecology, rural development, water quality, conservation, public relations and administration & finance. Stakeholders in the project include, Wicklow Uplands Council, Teagasc, Department of Agriculture, Food and the Marine, Department of Culture, Heritage and the Gaeltacht, The Waters and Communities Office and UCD.